STD Voices, an NCSD initiative, is aimed at empowering the voices of people living with or affected by STDs. I have a master’s degree in public health. I have provided HIV and STD prevention education to a variety of audiences. I’ve advanced in my career, been acknowledged for my contributions to the field of public health, and honored as a queer woman for contributing positively to the LGBTQ+ community. I now work full time as a director at the National Coalition of STD Directors. And I have herpes. I have counseled friends when they’ve come to me with news of their herpes diagnosis. I have sat with patients after a herpes diagnosis, giving them the pep talk I would end up wishing I had received. I soothed the worries of distraught parents asking if their newly diagnosed teenage daughter’s clothes could be washed with everyone else’s or if they could still babysit their younger cousin. By the time I was diagnosed with Herpes Simplex Virus 2 (HSV-2) in 2015, I was well-versed in the stigma surrounding HIV and STDs. I did not, however, anticipate how much stigma I would experience when I was diagnosed. It started with the diagnosing provider, who seemed to suggest that I should have known better, that I should have been more responsible given my profession. This did nothing to lessen the internalized shame I felt. I labeled myself a professional failure. How was I possibly going to be able to do my job if I had an STD? My doctor was right, I should have known better. But here’s the thing – I did everything I told my clients to do to prevent STDs. 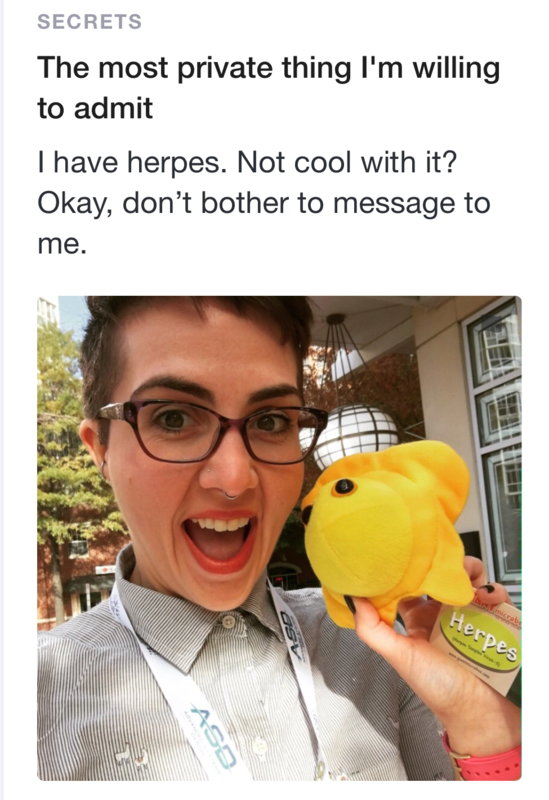 And like one-in-five sexually active people, I contracted genital herpes. At the time of my diagnosis, my doctor did not take a sexual history, and we did not discuss how I might have acquired the virus or how I could prevent transmitting it to any future partners. There was no counseling on how to disclose my diagnosis or advice on dating after herpes. There was no concern for my mental health, or how I was digesting this news that so many find devastating. And, as the provider hurriedly left the exam room, I was left to navigate this new and unexpected reality alone. My experience with stigma continued as I made a point to inform partners of my diagnosis. I wasn’t looking for anyone to blame, I just wanted to be responsible and respectful of my partners. One person nervously insisted he tested negative for the HSV-2 antibody and promised to send me his testing history. Another accidentally texted me when she meant to text a friend to say “how sorry she felt” for me and how “devastated” she would be if she were in my place. Yet another completely cut all ties with me, our friendship instantly evaporating upon disclosure. I took myself out of the dating game for months after my first outbreak cleared. Despite all of my knowledge, I was not immune to the societal messages of shame. I believed no one would ever be attracted to or love me again. I felt dirty. I was the punchline of every herpes joke on TV, in the movies, and among some of my social groups. I couldn’t even think about dating. With the support of a few select friends and family, I was able to overcome some of that initial shame and self-inflicted stigma. When I decided to date again, I made a point to tell any possible date either before our first date or on our first date. Even after clumsily disclosing to my partners months earlier, I initially felt unequipped to handle the conversation with potential dates. My first post-diagnosis date came along and I cautiously told him via text that I had herpes. I felt like I was telling some big, bad secret, but he swore he was fine with it and we moved along in our conversation. As our first and soon-to-be last date progressed, the topic came up as he asked some basic STD prevention questions, which I happily answered. But then he asked, in all seriousness, if he could get herpes by our legs touching under the table. It was in this moment that I took complete ownership of my herpes, and suddenly felt empowered by this guy’s ignorance. Weird, I know. But, I was the one with the virus and I was the one with the knowledge. I used that to take back the power in this situation. From that point on, I disclosed my virus to any potential date like it wasn’t a big deal, because it’s not. I would offer to answer questions, but refused to allow anyone to shame me or make me feel less than because I have herpes. There is a disproportionate amount of stigma around herpes and other STDs. Even I, after all this time, hesitated to tell my story – but the only way we’re going to change how people think about herpes is to talk about herpes. I think this is true for all STDs. NCSD provided a safe and supportive environment for me to talk openly about my herpes, and we want to provide the same thing for others. That is why we are working to give a voice to the community of individuals affected by all STDs. This work both inspires and empowers me, which is why I have chosen to use my voice and share my story. Amanda leads the programmatic work at NCSD. Amanda previously worked at the Ohio Department of Health where she managed STD, Hepatitis, and HIV prevention and surveillance programs. There she spearheaded program integration efforts and conducted strategic planning and program evaluation. Prior to her work at the state level, Amanda managed various programs and projects at an FQHC, focusing on the implementation of programs that addressed health equity and social determinants of health. Amanda holds an MPH from George Washington University and a joint BA in Anthropology and BS in Health Sciences from Cleveland State University. Click here to contact Amanda. Want to be a part of tackling the stigma around STDs? Do you have a story to share? 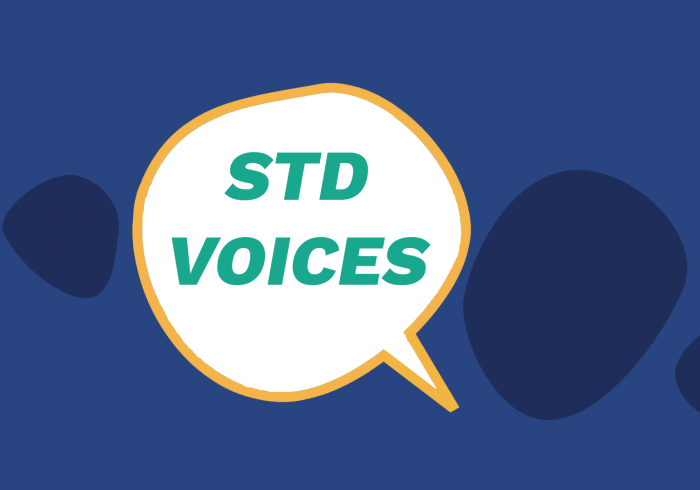 NCSD would love to feature you in our ongoing STD Voices series – a new initiative to raise up the voices of those affected by STDs in a collective effort to confront the shame and stigma associated with STDs. Please reach out to Matt Prior, Director, Communications, with any requests or questions. Here’s a short interview we did with Amanda in March 2019.